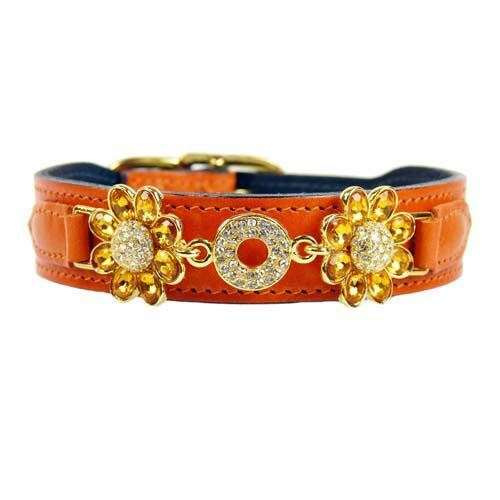 The ultimate lavish tangerine leather dog collar, handmade, with 16 original Swarovski crystals and polished with with 22 carat gold plate. A beautiful tangerine leather dog collar, that is made entirely by hand from 100% Italian leather. The collar has several lavish decorations with 16 different orginal Swarovski crystals, that are polished with 22 carat gold plate. This dog collar is the ultimate lavish !